Yes. 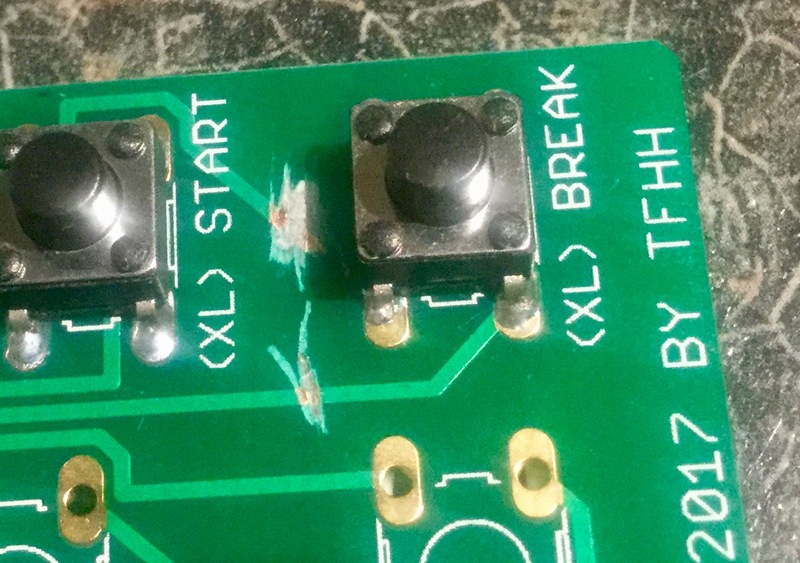 The thickness of 0.8mm is the same like used in the 600XL, where a little adapter PCB with resistors is found. all interested AtariAge members got their PN with payment details now. 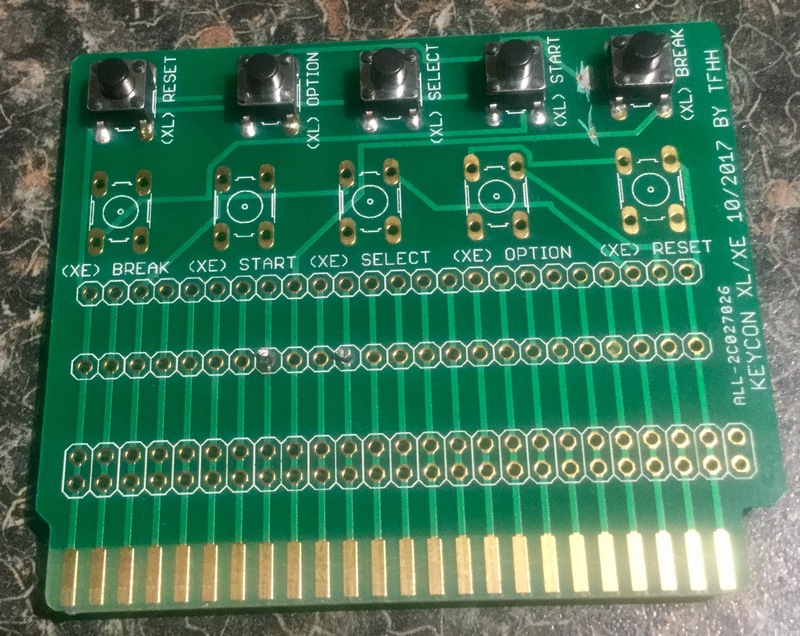 PCBs will be ordered in a few days, shipping out can be started in 2 weeks. Payment sent for two boards. Will the final version be smaller as mentioned or same as pictured in first post? First version will likely suit my purposes fine, but smaller is even better! Edited by RodLightning, Wed Oct 4, 2017 4:12 PM. I payed for two boards. I hope you are coming to the annual meeting of the ABBUC, otherwise I have to transfer more money. Thanks, all fine. Will do so. Thanks! 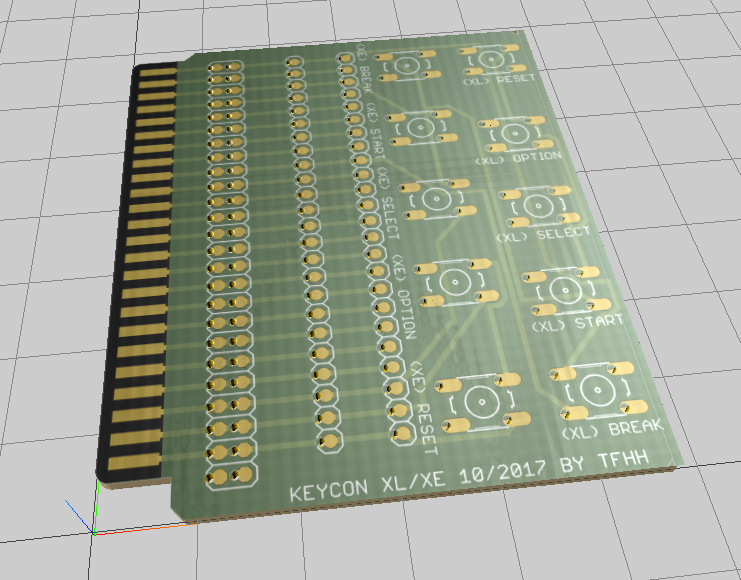 The final board is 59x69 mm. I arranged the keys and the traces for the keys in that way, that you can cut the PCB after the last row of contacts without damaging anything, if you want. Any pictures of the final board ? Do you have a reference for the push-buttons you used (with the higher and lower buttons) so I'll order the right ones ? Would this be right ? Edited by Level42, Thu Oct 5, 2017 4:12 PM. I guess these need some extra wiring, would have been nice to have the various functions in various colors, easy to remember and find "in the dark"
Edited by Level42, Thu Oct 5, 2017 4:19 PM. Excellent timing - I have a project requiring 5 pushbuttons. ......and only now I realize there isn't a HELP button.....mmmmm.....that's a bit of a shame.......HELP is very helpful with U1MB ........guess it should be possible to hack it on....maybe a Rev.2 Jurgen ? Any chance of posting an image of the final version for us to admire. Oh yea, sent payment yesterday! Yes, these are right ones. It´s standard tactile pushbuttons with 6 x 6 mm and four pins. The height vary on the height of the actuator. A good international source (for U.S. residents and all other) is Mouser. Search for "OMRON B3F", then you will find a lot of suitable pushbuttons in different heights and colors. I meant the LED buttons that I linked to Mathy......click the link to see the colors..
Was just "dreaming out loud"
Edited by Level42, Fri Oct 6, 2017 3:44 AM. Edited by Level42, Fri Oct 6, 2017 3:45 AM. Yes, this is the one I use. Some items are wrong or will be mis-interpretated. This website is online for years, I use the last Cadsoft Eagle version 7.7, maybe this programmer of this feature only fully supports up to Eagle 5.x or 4.x, but for quick view it´s a good thing. Edited by Level42, Fri Oct 6, 2017 12:56 PM. Boards arrived today. Thanks again for making yet another useful bit of hardware! Board arrived today. Thanks again for making KEYCON.. Received my two boards a few days ago already and they're awesome !!! It will take some time until the coloured buttons will arrive from China so I picked up some black buttons today and installed them. 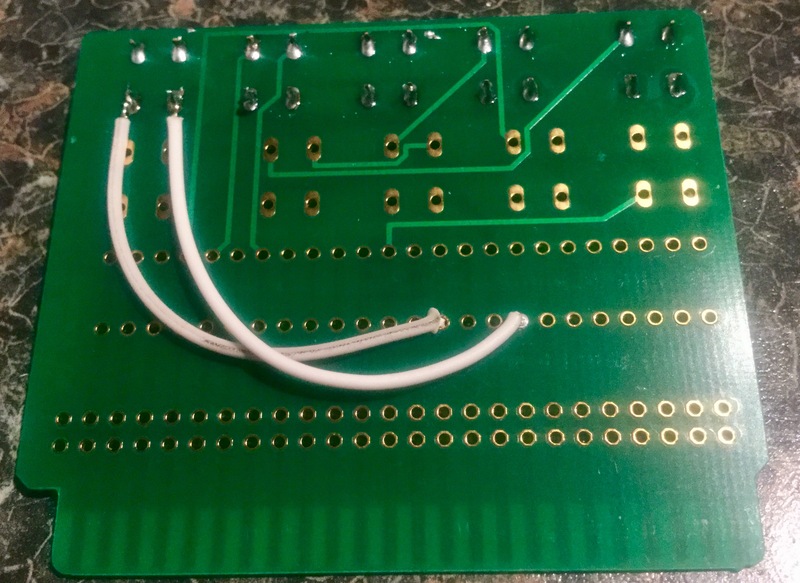 I also already modded one of the boards. Edited by Level42, Sat Oct 21, 2017 2:23 PM.